The Seminary Library will close at 7:00 PM, on Wednesday, April 17th. The Seminary Library will be closed Thursday - Saturday, April 18 - 20th. The Seminary Library will be open 9:00 AM - 4:30 PM, on Monday, April 22th. 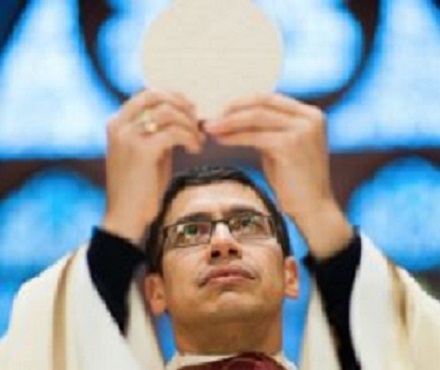 Welcome to the Msgr. James C. Turro Seminary Library. The Monsignor James C. Turro Seminary Library is the research library for Seton Hall University’s Immaculate Conception Seminary / School of Theology. The library’s resources include over 70,000 books and 400 periodicals, housing a substantial collections of videos, DVDs and Sacred Music cds, all of which support the educational and spiritual formation of our students. 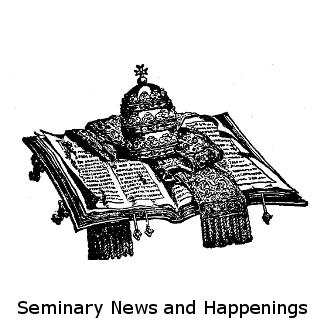 For the advanced scholar there are many critical editions of the major biblical and theological sources; for the pastoral minister a variety of catechetical and education resources are available. Even for the casual visitor there are various objects of interest which can be viewed such as the first Chippewa Bible or handbooks from the most recent papal elections display in our rare book room. All are welcome to visit. The Turro Seminary Library houses many inspirational artistic works. 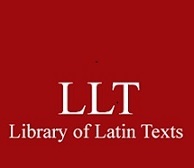 Produced by the American Theological Library Association (ATLA), coverage in this database begins in 1908, with indexing for some journal titles extending back into the nineteenth century. Full text is provided for articles and reviews from more than 300 journals selected by leading religion scholars. 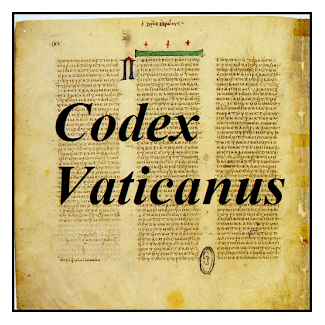 Comprising hundreds of titles written during the 16th and 17th centuries, The Digital Library of the Catholic Reformation gives researchers immediate, Web-based access to hundreds of hard-to-find works, including papal documents, synodal decrees, catechisms, confessors’ manuals, biblical commentaries, theological treatises, sacred drama, liturgical works, inquisitorial manuals, preaching guides, accounts of saints’ lives, and devotional works. The Turro Library houses a sacred music library of over 200 CD which contribute to an historical survey of Catholic Church music. 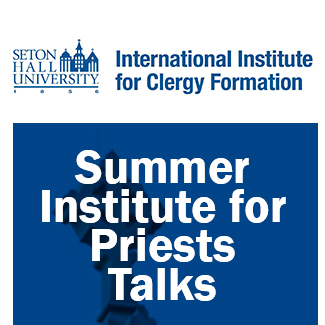 Ongoing conversion of the International Institute for Priestly Formations Summer Institute for Priests talks. See more in the Turro Seminary Library Theology Research Guide.